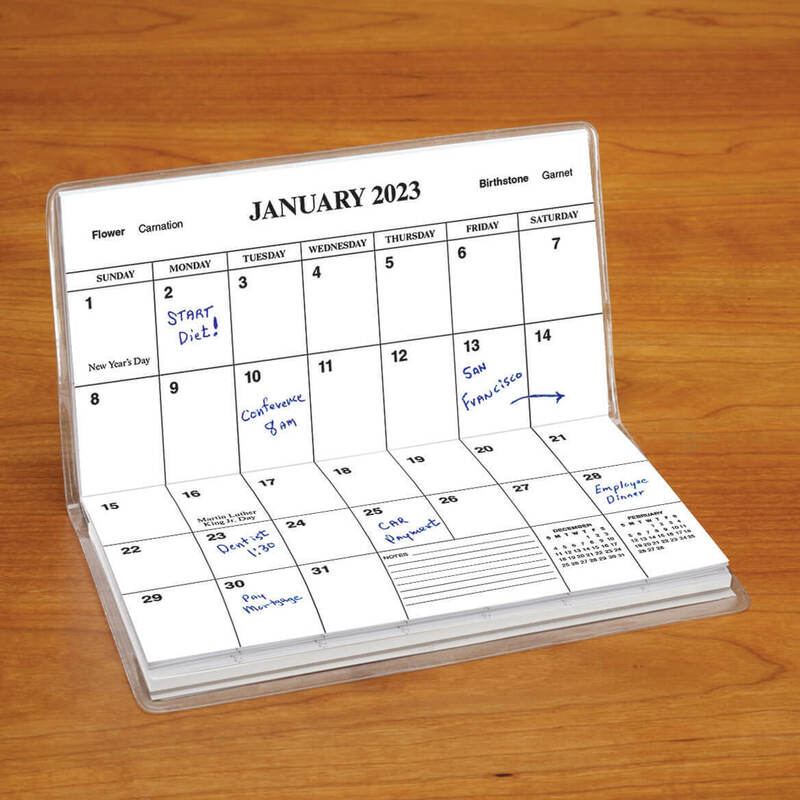 This 2-year calendar is perfect for someone who does not function in the world of devices. Dr. Dan "The BandAid Man"
Good quality, used daily to record notes and appointments. Yes, I would definitely buy again. For reminders, appointments, and to keep up with important occasions, and events. I still prepared having a traditional calender, and I give the calenders as gifts to friends who like having them as well. This one I bought for myself. The Corinthians verses are a beautiful part of the Bible & it suits me. Plus we're getting older we need to make notes all the time. I love the 2 year calendar, and purchase this every two years. I liked it for my self. These will be Christmas stocking stuffers. I am so glad to find a different cover this year. Just convenient to have in my purse when I am out and about. My mother likes planners that have the notepad in the back. I chose it for my wife! The way the World is today, we really need something to hold on too. Without these three believing words, we would truly be lost. I have always trust and believed. 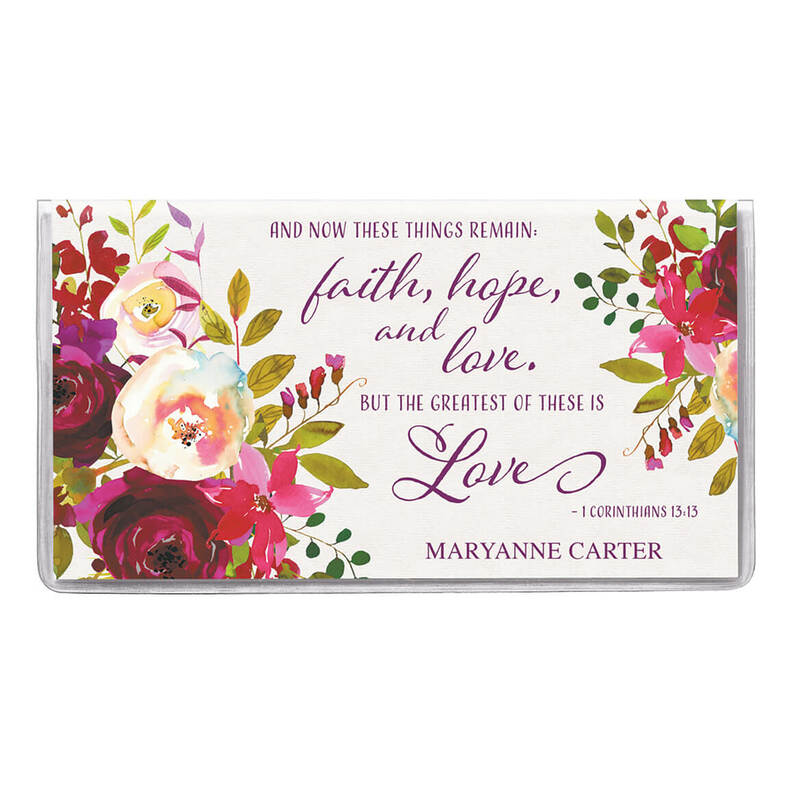 I love the bright colors on the cover and that is one of my favorite Bible scriptures. What are the two years on this Calander? Today’s date is 10/20/18. BEST ANSWER: Thank you for your question. The planner is currently 2019-2020. We hope this information will be of help to you. Where do i personalize an item? It's not there!!!! !